From Thursday, there are changes to how Iberia flights are handled at Heathrow Terminal 5. Because Terminal 5 was built exclusively for British Airways, the IT systems were not designed to handle other traffic. This meant that the Iberia services to Madrid were given BA flight numbers and, behind the scenes, treated as BA services. This all changes on Thursday. From this date, the Iberia flights from Terminal 5 will have their own check-in desks in Zone E. The flights will no longer carry BA flight numbers and the Iberia check-in system will be used. There is a dedicated group of BA check-in staff who have been cross-trained to work here. Premium BAEC members can no longer check-in for Iberia flights at the Business Class desks in Zone H or the First Wing. Gold card holders without checked luggage and with an online boarding pass may still use the First Wing security lane, and of course any Gold member with luggage can check it in at Zone E and then clear security via the First Wing. 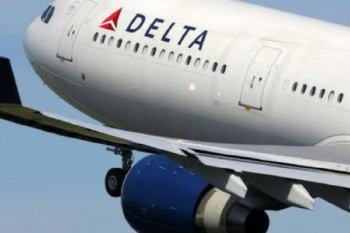 Delta Air Lines, Virgin Atlantic’s 49% shareholder, is adding a new UK route for Summer 2019. From 23rd May, it will fly daily from Edinburgh to Boston. The service will use a Boeing 757 and depart Edinburgh at 10.55, landing at 13.02. The return leaves Boston at 22.15, landing at 09.25 the following day. Seats will be bookable using Virgin Flying Club miles via the Virgin Atlantic website, although it has to be said that getting the website to pull up Delta flights is not easy on routes not also served by Virgin itself. Hertz has been running various promotions this year to celebrate its 100th birthday and has now launched the official ‘Centenary Sale’. It runs until Monday 12th November, although logged-in Gold Plus Rewards members will be able to book until Monday 19th November. It is valid for rentals picked up before 16th December across Europe, the Middle East and Africa. Both pre-paid and pay on collection rates are included. All car groups are reduced but not vans or the ‘Dream Collection’ of performance cars. The headline deal is ‘up to 25% off’, with a higher ‘up to 30% off’ for Gold Plus Rewards members. As always with the murky world of car rental pricing you should treat such claims with a pinch of salt. However, if you have any rentals booked between now and 16th December you might want to reprice them just in case the sale does throw up a bargain. Details of the Centenary Sale are on the Hertz website here. Finally, don’t forget to click here to play the Marriott Rewards ’29 Ways To Stay’ daily win game today. You should win at least 50, but hopefully more, Marriott Rewards points. Just a heads up on the Hertz deal. You can’t seem to book this from abroad. It comes up with an error message to say there are no locations in your country (Sri Lanka) all booking information was for London Heathrow in the uk . I contacted Hertz via twitter and they confirmed the issue was I was abroad. I asked them if they could resolve and they said only if I rang them at £1.80 per minute for what would be around 10-15 mins booking. I asked them for a whatsapp number and they said there is none. Not sure if anyone else had similar problem?